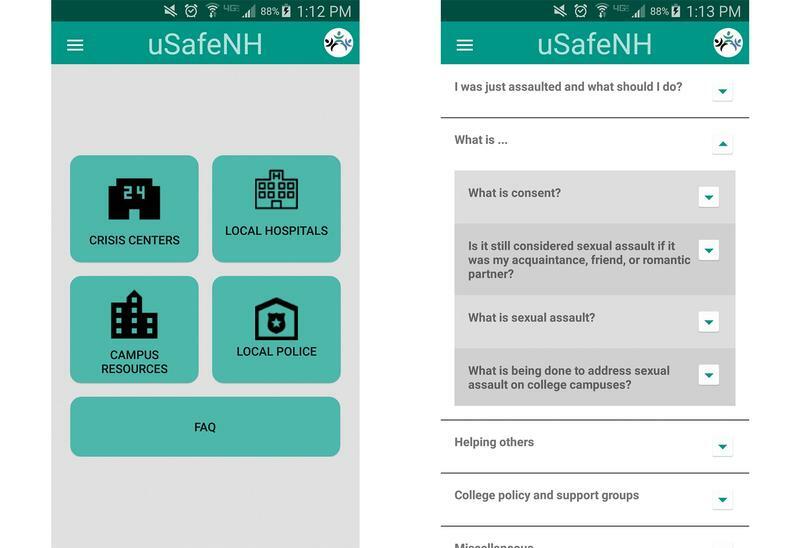 A free smartphone app developed at the University of New Hampshire to help prevent sexual assault and provide assistance to victims is now available nationwide. 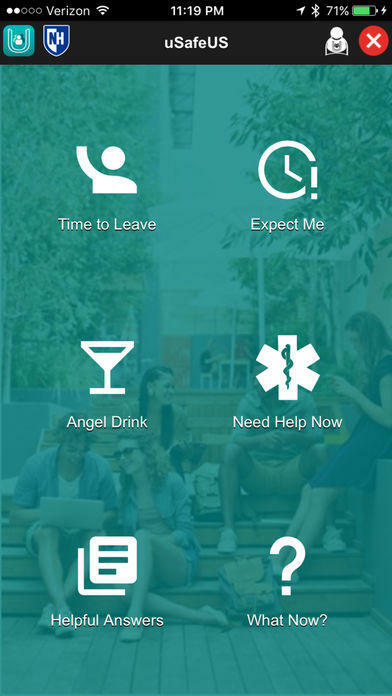 The app – uSafeUS – was unveiled at an event on the UNH campus in Durham last week. It’s a national version of an app that was made available to students on 21 college campuses across New Hampshire last fall. Sharyn Potter is a professor of sociology and executive director of research at the Prevention Innovations Research Center at UNH, and helped develop the app. She joined NHPR’s All Things Considered. Explain how this app works. What are the features designed specifically to help prevent sexual assault? One of them is called “Angel Drink” and it's based on some of the work that was done in bars in the United Kingdom. When you click on the feature, there are a number of recipes for different cocktails that the students drink. And if the user shows the angel drink to a bartender, it basically says instead of a recipe, it gives information to the bartender that let the bartender know that that customer needs help, they need someone to help them out of that situation. The second interactive feature is called “Expect Me.” If I’m leaving the library and it’s 11:30, I can have a contact loaded in my phone and say I know it's going to take me 10 minutes to walk from the library to my residence hall. If I get home in seven or eight minutes, I just discontinue the feature and you'll get a text message saying I'm home safely. Or at the end of the 10-minute time, you will get a notice saying that person hasn't returned home, can you please call her and make sure she is all right. The third interactive feature is called “Time To Leave.” And that interactive feature is really cool and really can get you out of an uncomfortable situation. You can set your timer for how many ever minutes you want and you can arrange that you can have a text from your roommate who is locked out, or your mom who wants to talk to you. What about in cases where a sexual assault has already occurred? If a sexual assault has already occurred, there are a number of features that provide support. There’s “Need Help Now,” which connects students with the help they need. So it has information on hospitals, local police, campus police, the Title IX office for that particular campus, crisis centers and counseling centers. Was it always the plan to go national with the app? It was our dream. In New Hampshire they all tested the beta version, and in February, we hosted an idea-a-thon and we had a number of teams compete for a four-hour period with different ideas for kind of making the app more slack and cool, as well as making a back end of it accessible so that in the next release of the app, schools who sign on will have an access code and they'll be able to update their information in real time. Right now, any information on the school's side needs to be updated. Someone just calls us and we do it as quick as we can. Was there any additional research that went into developing it on a national level? All of the research that has brought it to today, to the national level, has been in New Hampshire. That was with the New Hampshire schools who were part of this adventure last year, and then we focused group with over 250 students in the past year. All of my colleagues drove all over the state administering focus groups and students spent an hour with us and gave us their feedback and their opinions. And all we really had to offer them was a $5 gift card. They took it, and they were so gracious. And the other thing is that campus administrators at all different levels from all the different institutions in New Hampshire spoke with us regularly, e-mailed us feedback, asked us questions. So we could never have gotten to where we are without the collaboration. We also had a lot of support from the folks at the New Hampshire Attorney General's office, the folks at the New Hampshire Coalition Against Domestic and Sexual violence. In New Hampshire, we do a lot with little, but these are incredibly passionate people and I think this is truly a New Hampshire story.